Believe it or not, but there are over 60 ways to use a steam cleaner to level up your deep-cleaning game. Let’s dive into all of them here. It’s truly astounding how many ways you can use a steam cleaner to clean and disinfect your home and rid your home of nasty pests like fleas and bed bugs. I’m going to list 61 of them below. Before I do, however, let’s take a look at some general tips for using a steam cleaner effectively and safely. 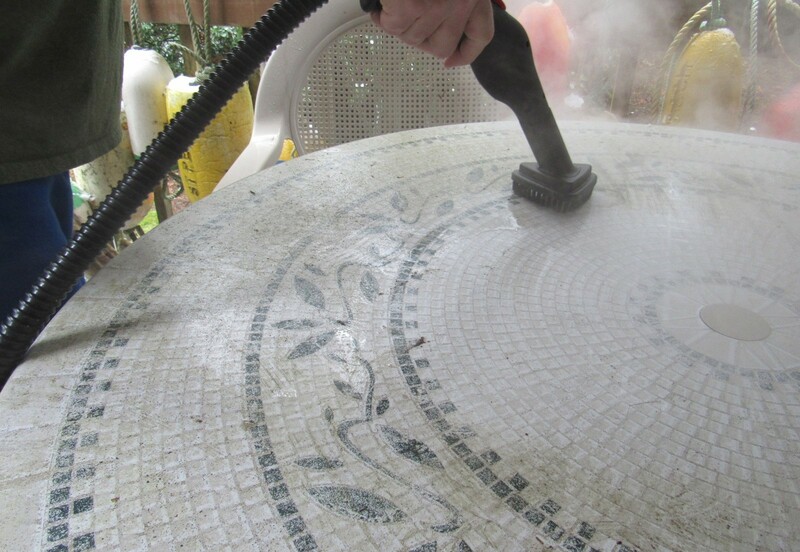 Before you use your steam cleaner in any way at all, you need some steam cleaning basics under your belt. Keep these steam cleaning do’s and don’ts in mind. 1. DO practice safety first. Be aware that a steam cleaner emits very hot steam. It’s wise to wear shoes when using a steam cleaner so you don’t accidentally shoot steam at your bare feet. 2. DO use distilled water in your steam cleaner if you have particularly hard water. This will avoid mineral build-ups in the machine. 3. DO vacuum or sweep before you steam clean floors so you don’t turn dirt into hot mud. 4. DO place towels under your cleaning area. 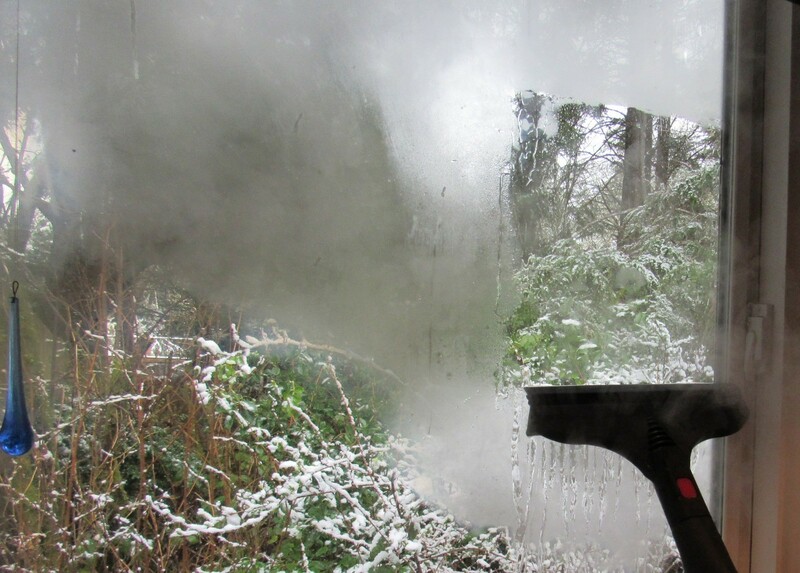 When steam hits cooler surfaces, it quickly condenses into liquid water. Be careful not to drip water onto other items when you’re steam cleaning. 5. 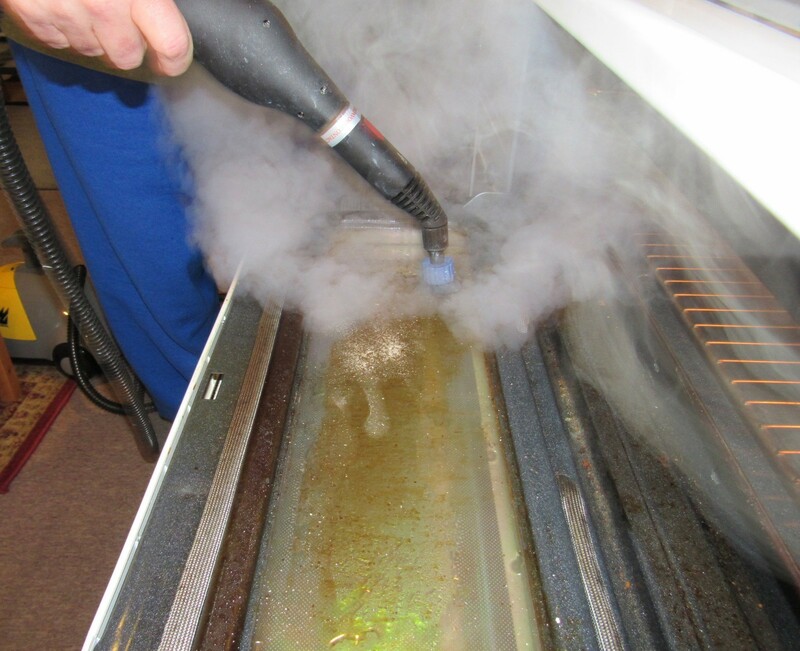 DO plan your steam cleaning. Dragging a steam cleaner from place to place is a little more complicated than wandering around with a spray bottle of cleaning solution. Think through what you need to clean and create an organized plan that requires minimal moving of the machine. 1. 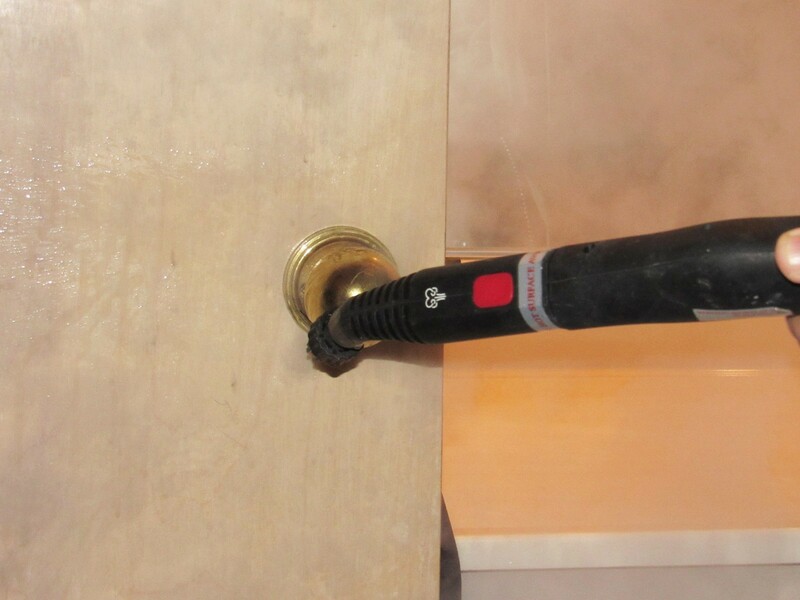 DON’T get careless with the steaming wand. Steam will keep coming out even after you release the trigger. Be aware of where the wand is aimed. 2. 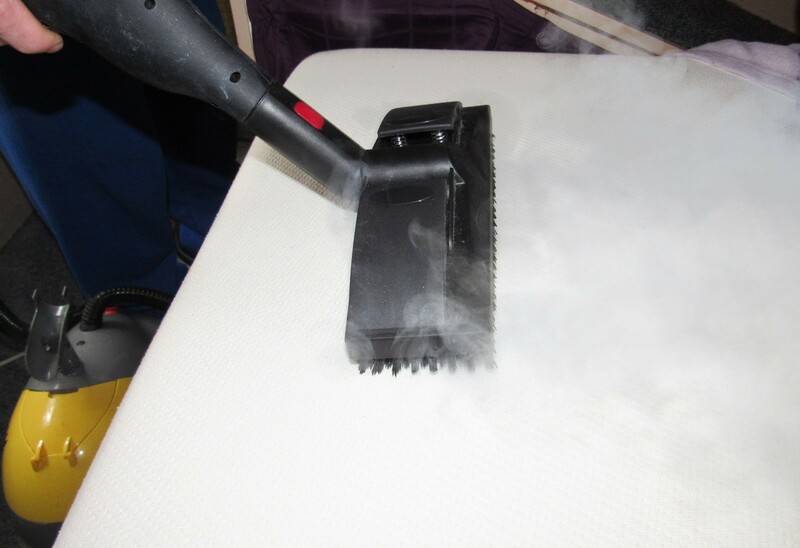 DON’T use a steam cleaner on surfaces that can’t stand up to heat and moisture. Check the instructions that came with your cleaner and resources like this article to see what can stand up to steam. If you have doubts about something, don’t steam clean it. 3. DON’T put your steam cleaner away with water in it. Empty the water tank and clean the machine so it’s ready to use next time. 4. DON’T apply too much pressure in one spot for a long time when you’re cleaning. 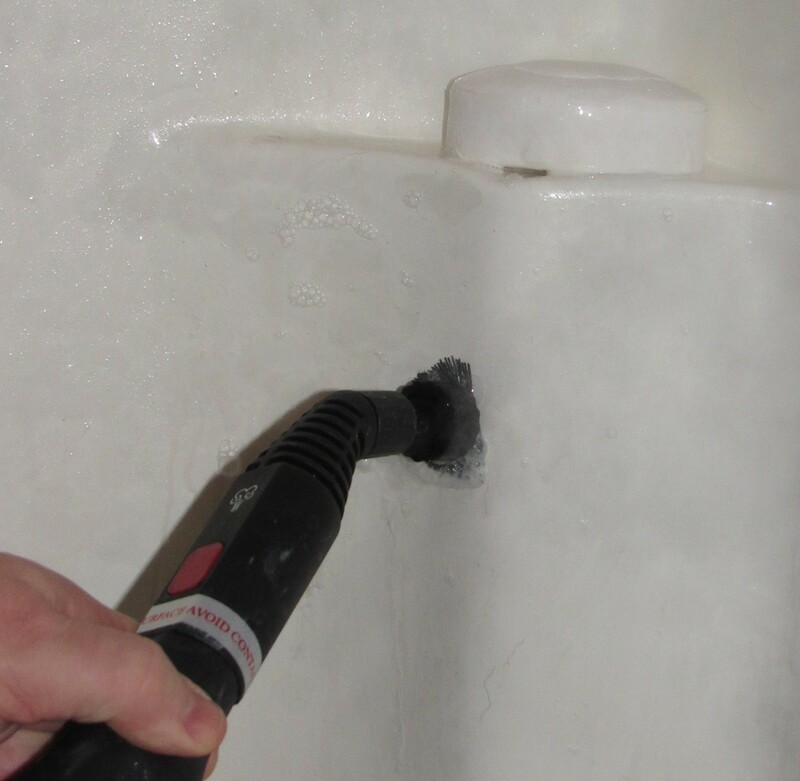 Keep the steam cleaning wand or attachment moving in slow, even strokes. This is especially important when you’re cleaning fabrics. Leaving the steam cleaning wand in one spot will saturate fabric with moisture instead of just letting the steam get the cleaning done. The above list of 61 ways to use a steam cleaner is by no means exhaustive. I’m sure you can come up with more ways to use a steam cleaner. All you have to do is look around for dirty surfaces that might be breeding grounds for germs, dust mites, or mold, be sure the surface is heat- and moisture-tolerant, and then go for it. 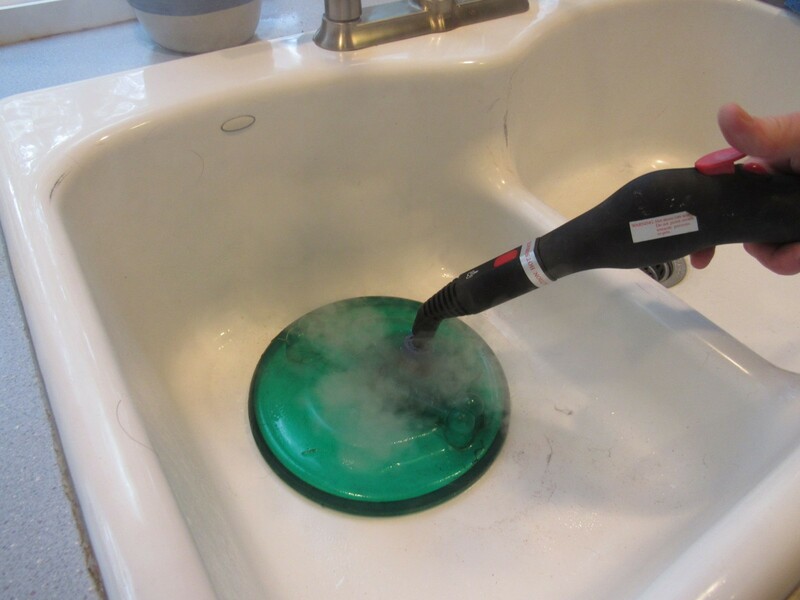 Have you found some other creative uses for your steam cleaner? Please share them.